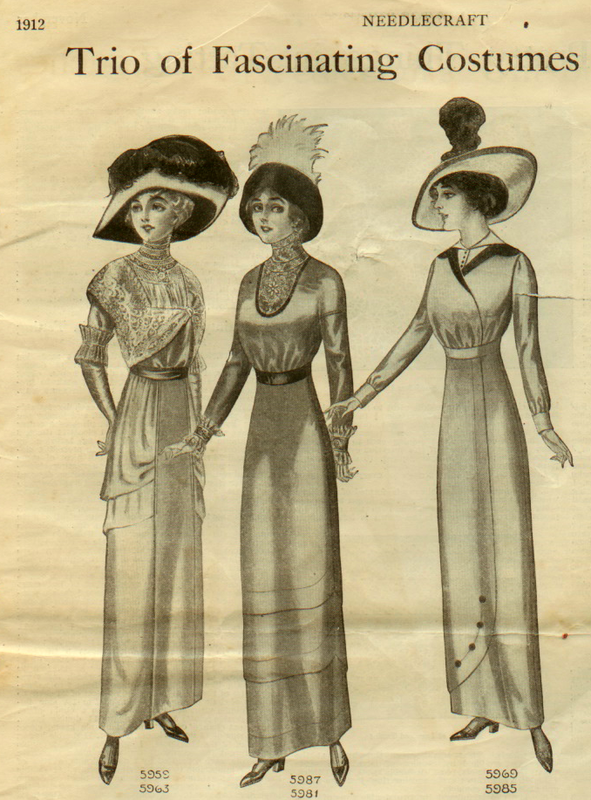 This is from the November 1912 edition of the Needlecraft magazine. 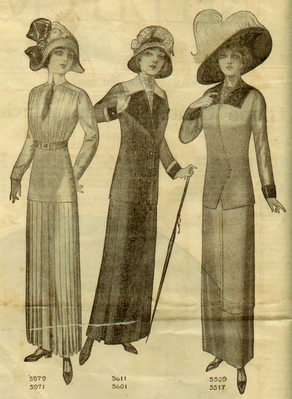 These were sewing patterns you could buy and make for yourself. WOW!!!!! How long would it take to make those ensembles? Look at these outfits they are so precious. I wish woman still wore hats like this. I think they are un-practical but oh, so lovely. Even the dresses are "to die for" as the saying goes. You can just see people taking their daily strolls down tree lined streets in these clothes. I don't think I could live like that on a daily basis, but it would be fun to dress that way for a day or two. 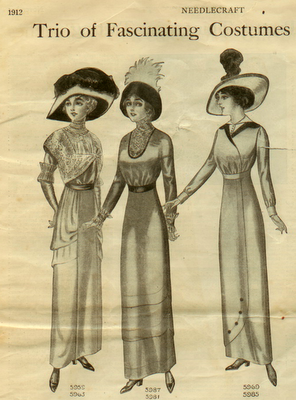 Oh, I wish women still wore hats like those too!!! Aren't they just so elegant? I do adore hats...don't wear them...don't go anywhere TO wear them LOL but I do so love them! !